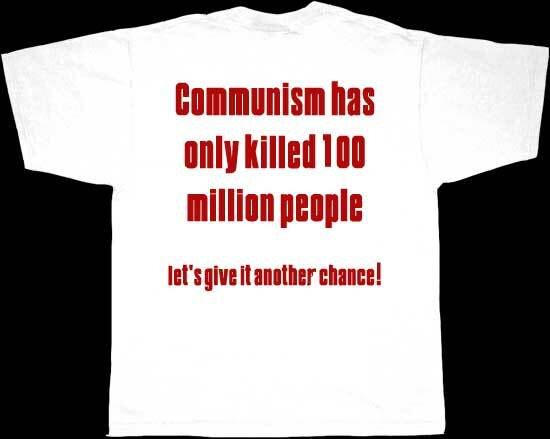 Seriously, I do not think we really need to worry about communism in this country regardless of what the fear mongers keep stating in the media. A modern form of fascism on the other hand, I am definitely more concerned of. In fact, we are seeing a gradual shift towards that direction and many people do not even realize it. One just has to look at the characteristics of a fascism government similiar to Germany with Hitler and the direction our policies. * MILITARISM ( It is usually done with FEAR on an enemy. )Enemy could also be the american people if it threatens change. * CORPORATISM (LOOK AT THE POLICIES THAT ARE BEING PASSED)Those are really the folks behind self-serving policies being passed. If this country changes in another direction it would probably be something like a Democratic Socialist form of government or a modern day Fascism. It seems we are moving towards fascism faster than Democratic Socialist. Communist, no way. With the Corporate influence in this country NO WAY, that is why FASCISM is very realistic. Scary, isn't it? That's why folks need to be so concerned with, not the president, but the CONGRESS!! We need strong, non-career folks looking out for us. Folks who will put the brakes on anything not expressed in our Constitution. So far, that''s not happening. Scary, isn't it? That's why folks need to be so concerned with, not the president, but the CONGRESS!! We need strong, non-career folks looking out for us. Folks who will put the brakes on anything not expressed in our Constitution. Actually, that's not Congress' job -- that's the courts' job, among other things. confiscation of guns in New Orleans. and all the other rights that have been removed. Do we mention the the coup d'etat in 2000 with the voter fraud in Florida? Facism is real and we are closer than most realize. We need to restore the Constitution but the primary parties won't do it hence why its Nader for me. Ah Yes, the simplistic reaction that if you criticize America you can only be a communist. Yuri Bezmenov, KGB defector to the West, in a 1985 interview. Fascism is a very real concern, look at the promises made by the party that want to gain control of our country. Government control of industry & the economy. The fascist/socialist policies of the American Left are a very real and very frightening threat to the freedoms that we have.